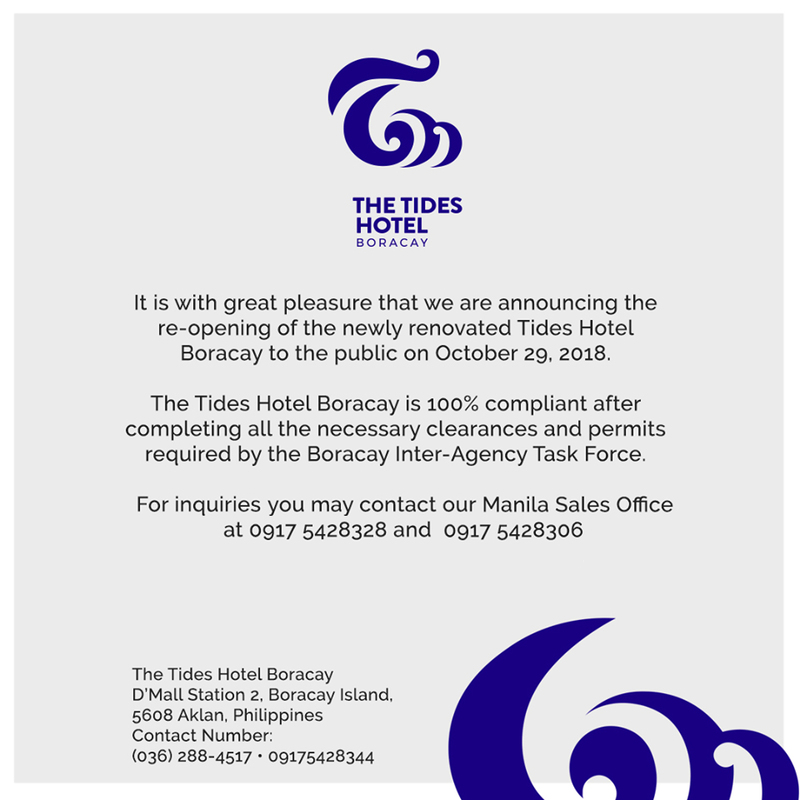 Do you have any questions about The Tides Hotel Boracay? Check our contact numbers for our Manila and Boracay offices. Presenting a strategic address at Station 2 that’s just a stone’s throw away from a plethora of comforts, The Tides is a destination in itself that will let you indulge, unwind, and breathe easy. If convenience is what you are after, our hotel’s location near D’Mall offers an excellent spot for you. From The Tides Hotel Boracay, you’ll have easy access to a slew of restaurants and clubs that are frequented by tourists, including Boracay’s epicenter for world-class partying, Epic Boracay. Boracay Island — home of The Tides Hotel Boracay, Philippines — is 45 minutes by plane from Manila or Cebu. The airports of Kalibo and Caticlan serve as the gateways to the island. For your further convenience, The Tides Hotel Boracay offer shuttle services. Contact numbers for availing of this service prior to arrival is the same as above.